Author of fiction in various genres, including young adult, science fiction, women's fiction, romance, horror and thrillers. My sci-fi trilogy, A Ramtalan Trilogy, is available in e-book, all three books (Origin, Heritage, and Species) in one! I have my own blog with information about writing and author interviews. Come back frequently to see what's new! So what's new? 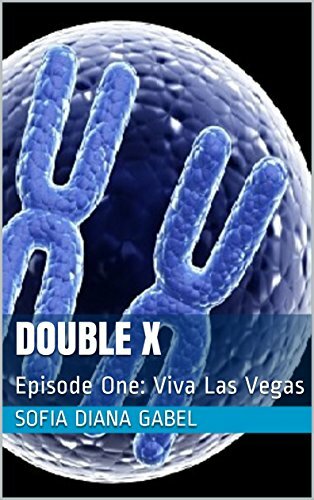 A short story, Double X Episode One, Viva Las Vegas, is now available from Amazon. Welcome to my site! Please have a look around, find the genre you're interested in under the Published Works tab or check out my ﻿Blog﻿, and come back often for updates on my latest books and information about writing, publishing and life in general. Here's a beautiful view of Rosslyn Chapel in Scotland from my recent vacation. So much lush greenery in Scotland, it's breathtaking! Copyright 2013 Sofia Diana Gabel - Multi-Genre Author. All rights reserved.